It has a 96% rate of accuracy. A study published in Science Transitional Medicine has found that doctors can predict which babies will develop autism spectrum disorder (ASD) by the age of two with an astonishing 96 percent success rate. The test uses a combination of functional magnetic resonance imaging (MRI) and machine-learning algorithms. The study took brain scans of 59 “sibs” (the younger siblings of children with ASD), who’s chances of getting the disease are 20 times higher than average. They captured the activity in 230 brain regions of the six-month-old infants, amounting to 26,335 neural connections. When the children were two, the scientists conducted a behavioral analysis which indicated that 11 of the children had developed autistic symptoms. 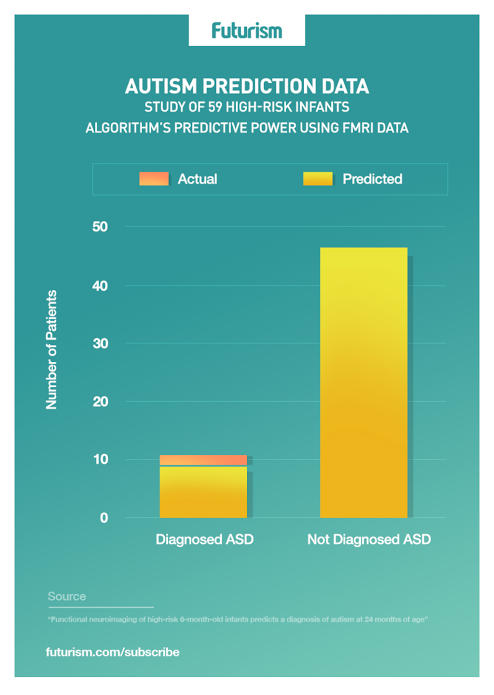 Using this data, the researchers taught a machine-learning algorithm to search for unique patterns in the six-month-old brains of the autistic children. They then had the algorithm analyze the six-month-old scans again, and it correctly identified nine of the 11 children who went on to develop autism. Machine learning and artificial intelligence (AI) are becoming particularly adept in the diagnostic sector of healthcare due to their capability to analyze large amounts of data more quickly than humans. 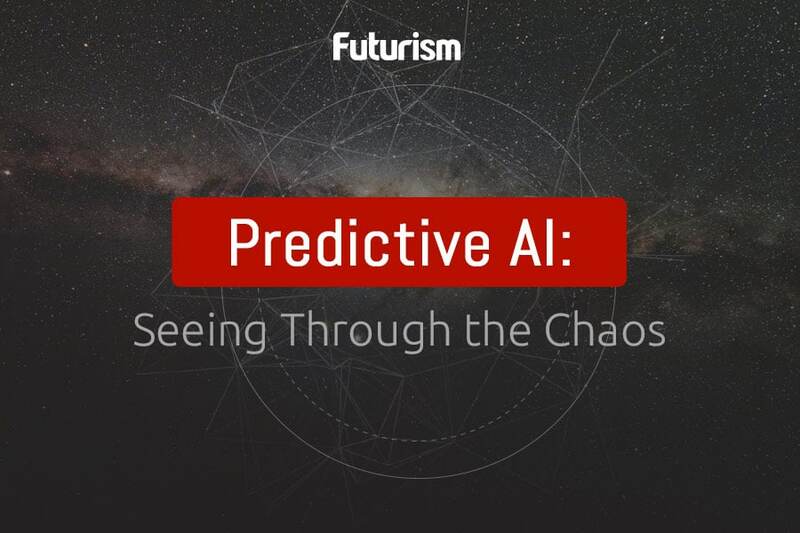 Recently, AI has shown promising results in predicting what over 65-year-olds are most likely to die from, and IBM’s Watson has already saved lives by diagnosing diseases early on. AI and machine learning have the potential to revolutionize healthcare by identifying diseases earlier and with more accuracy, allowing doctors to perform cheaper and less intrusive preventative treatments. This would be especially useful in parts of the world where there are fewer healthcare professionals, or when a doctor’s time is under pressure.